Home News trending News trending! Relax your self OnePlus 3T review by sliceteam!!!!!! OnePlus 3T review by sliceteam!!!!!! The OnePlus 3 impressed us and is definitely one of our favourite smartphones for 2016. The introduction of the buffed up OnePlus 3T was a surprise for a few and a bit of a disappointment to consumers who already bought the OnePlus 3. Nonetheless, the OnePlus 3T has grabbed attention even after being a minor update over the original. I got a chance to have a quick look at the new smartphone and here is what I think about the handset. Build and Design The design and build is the same. OnePlus has played safe and hasn’t made any changes. To be honest, I think that’s a good decision. It feels premium just like the original and the only visible difference is the addition of a new colour which the company calls “Gunmetal Gray’ which is a darker shade and looks appealing. Considering the bigger battery, the overall dimensions are the same. The weight is also very similar and didn’t feel all that heavy. So you still get the premium metal finish, a 5.5-inch display, a front facing fingerprint scanner, bottom firing speakers with the USB Type-C port and that nifty alert slider. 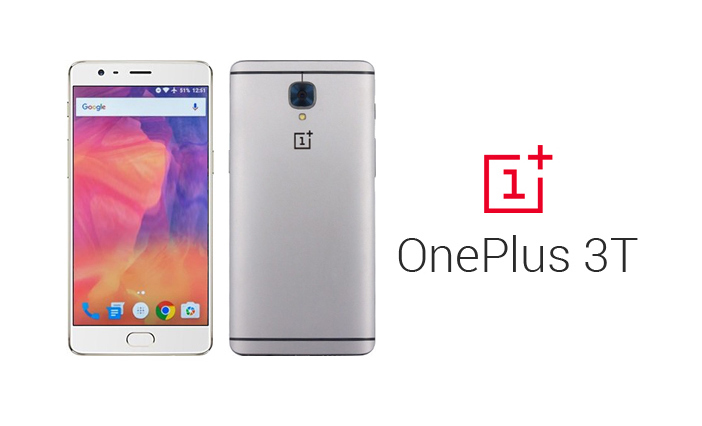 Hardware While the majority of the hardware remains same as the OnePlus 3, the new 3T gets the new Snapdragon 821 chipset that was recently seen on the Google Pixel. Now I cannot strongly say that there is a difference in performance, but I think OnePlus should have had added the Daydream support, as the new chip and 6GB of RAM could’ve made it run smoothly. Apart from the 64GB variant, OnePlus has added a 128GB variant. This in my opinion is a great addition considering smartphones like the iPhone 7/7 Plus and Google Pixel/Pixel XL offer similar storage variants. You still get that massive 6GB of RAM which should manage multitasking with ease. As I mentioned, everything else remains the same. Software The smartphone is still running on Android 6.0 Marshmallow based Oxygen OS 3.5. It is very much similar to the one of the OnePlus 3. The company has already released a beta version of the new Android 7.0 update and the final build will be arriving on the OnePlus 3T this month. Battery and Connectivity A promising update is the battery. OnePlus has bumped the 3,000mAh battery to 3,400mAh battery on the OnePlus 3T. The best part is, the bigger battery hasn’t added any bulk to the handset. The company claims similar charging time with their Dash charging tech so you can charge the smartphone from 0 to 60 percent in half an hour. In terms of connectivity you get 4G LTE, Wi-Fi, Bluetooth, NFC, USB Type-C with OTG support and DLNA. Camera The significant change is the new 16MP f/2.0 aperture camera on the front. The original had an 8MP unit. The new camera does make selfies look better and a tad bit sharper thanks to the higher resolution. Apart from that, the rear camera remains the same as before with an update EIS (Electronic image stabilisation) and a sapphire glass protection to keep scratches away. Conclusion For the minor bump in price, OnePlus is offering a better package on paper that seems worth the extra money. I think the 128GB version is a bit too expensive though. As for the difference in performance between the original and the new one, I cannot give a verdict, as I still need to test the smartphone properly. If you already own a OnePlus 3, I think you should stick to it. The 3T won’t be a completely different device and most of the experiences should be similar. As for the price and availability, the 64GB variant is priced at Rs 29,999 while the 128GB variant is at Rs 34,999. The smartphone will go on sale from 14 December on Amazon.in. Prime members on Amazon get to pre-order on 12 December. The OnePlus 3 impressed us and is definitely one of our favourite smartphones for 2016. The introduction of the buffed up OnePlus 3T was a surprise for a few and a bit of a disappointment to consumers who already bought the OnePlus 3. Nonetheless, the OnePlus 3T has grabbed attention even after being a minor update over the original. I got a chance to have a quick look at the new smartphone and here is what I think about the handset. The design and build is the same. OnePlus has played safe and hasn’t made any changes. To be honest, I think that’s a good decision. It feels premium just like the original and the only visible difference is the addition of a new colour which the company calls “Gunmetal Gray’ which is a darker shade and looks appealing. Considering the bigger battery, the overall dimensions are the same. The weight is also very similar and didn’t feel all that heavy. So you still get the premium metal finish, a 5.5-inch display, a front facing fingerprint scanner, bottom firing speakers with the USB Type-C port and that nifty alert slider. While the majority of the hardware remains same as the OnePlus 3, the new 3T gets the new Snapdragon 821 chipset that was recently seen on the Google Pixel. Now I cannot strongly say that there is a difference in performance, but I think OnePlus should have had added the Daydream support, as the new chip and 6GB of RAM could’ve made it run smoothly. Apart from the 64GB variant, OnePlus has added a 128GB variant. This in my opinion is a great addition considering smartphones like the iPhone 7/7 Plus and Google Pixel/Pixel XL offer similar storage variants. You still get that massive 6GB of RAM which should manage multitasking with ease. As I mentioned, everything else remains the same. The smartphone is still running on Android 6.0 Marshmallow based Oxygen OS 3.5. It is very much similar to the one of the OnePlus 3. The company has already released a beta version of the new Android 7.0 update and the final build will be arriving on the OnePlus 3T this month. A promising update is the battery. OnePlus has bumped the 3,000mAh battery to 3,400mAh battery on the OnePlus 3T. The best part is, the bigger battery hasn’t added any bulk to the handset. The company claims similar charging time with their Dash charging tech so you can charge the smartphone from 0 to 60 percent in half an hour. In terms of connectivity you get 4G LTE, Wi-Fi, Bluetooth, NFC, USB Type-C with OTG support and DLNA. The significant change is the new 16MP f/2.0 aperture camera on the front. The original had an 8MP unit. The new camera does make selfies look better and a tad bit sharper thanks to the higher resolution. Apart from that, the rear camera remains the same as before with an update EIS (Electronic image stabilisation) and a sapphire glass protection to keep scratches away. For the minor bump in price, OnePlus is offering a better package on paper that seems worth the extra money. I think the 128GB version is a bit too expensive though. As for the difference in performance between the original and the new one, I cannot give a verdict, as I still need to test the smartphone properly. If you already own a OnePlus 3, I think you should stick to it. The 3T won’t be a completely different device and most of the experiences should be similar. As for the price and availability, the 64GB variant is priced at Rs 29,999 while the 128GB variant is at Rs 34,999. The smartphone will go on sale from 14 December on Amazon.in. Prime members on Amazon get to pre-order on 12 December.